I don't if I've ever seen a New Music Tuesday where 1/2 the releases were put on sale on Monday, but that seems to be the case this week and I'm sure there's a good reason for it. My suspicion is the Grammy cutoff deadline, which is often around this time, and would explain why high profile acts like Coldplay and Kelly Clarkson didn't wait for today. That said, we're still calling it New Music Tuesday and there are a lot of titles worth considering this week. 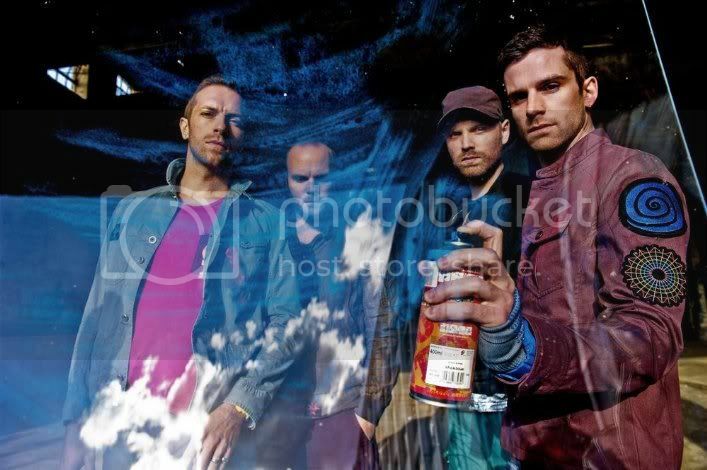 Let's begin with the latest from Coldplay, Mylo Xyloto. I picked up my copy yesterday but haven't gotten to listen to it. I've carved out time later in the day for that. Our newest contributor 11 has listened to it twice and he's been politely commanded to share his thoughts on the record directly. We may both weigh in on this one. I'm looking forward to hearing beyond the two singles released prior to the album's Monday release. Kelly Clarkson has also released two singles in advance of Stronger and Heather has reviewed them both. She liked the second ("What Doesn't Kill You") a lot more than the first ("Mr. Know It All") and now she's reviewed the album in its entirety. Let's talk about my presents, one from TheWifeToWhomI'mMarried and one from... ME. I got a late birthday/anniversary gift yesterday, not because my wife doesn't know when either of those events are but because what I wanted most didn't street until yesterday: the reason I'm not listening to Coldplay right now is because I'm listening to the Super Deluxe 20th Anniversary Edition of Nirvana's Nevermind (What do you say we stop talking about the album's age? Can I get an amen on that). It's beautifully packaged and brimming with b-sides, rarities, and other goodies. I'm very pleased with it; it was worth the wait. Thank you, TheWifeToWhomI'mMarried. My present from me to me? How about Smokestack Lightning: The Complete Chess Masters 1951-1960 the late, great Howlin' Wolf? Do you think that might be any good? This now trumps the first three discs of my Howlin' Wolf Chess Box Set, covering the sides Wolf cut for Sam Phillips in Memphis that were later licensed to Chess Records all the way through his classic "Spoonful." The (I hope and pray) inevitable second volume will pick up with "Goin' Down Slow" and take us through to the end of his Chess tenure. In the blues, roots, singer/songwriter department, we have new releases from John Prine, Fiona Boyes, and Popa Chubby. Those are some of the highlights that I'm seeing. What are you down for this New Music Monday/Tuesday? Crowell, Rodney - But What Will The Neighbors Think? Llanas, Sam - 4 A.M.